Two pieces of chicken breast sliced into small pieces, marinaded with 1 big table spoon of corn starch. Put some oil on a pan, and once it is hot, put chopped garlic into it. Stir a little bit until the aroma comes out. Then add marinaded chicken. Turn down the heat to low once it is cooked outside. Add a bit of water to moist the chicken and cook a bit more until inside is cooked. Set aside. 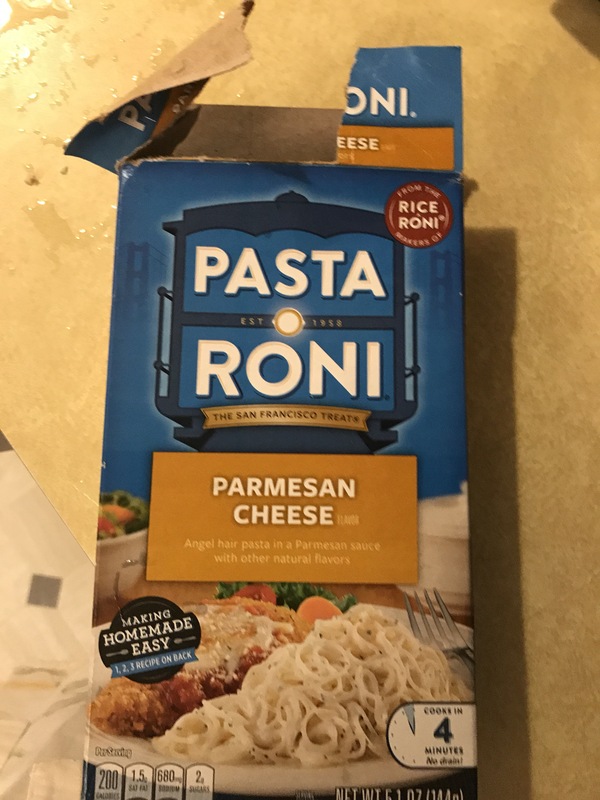 On another deep pan, cook the package pasta roni according to instruction. Add the veggies after 2 minutes. And the last minute, add the chicken. Enjoy! 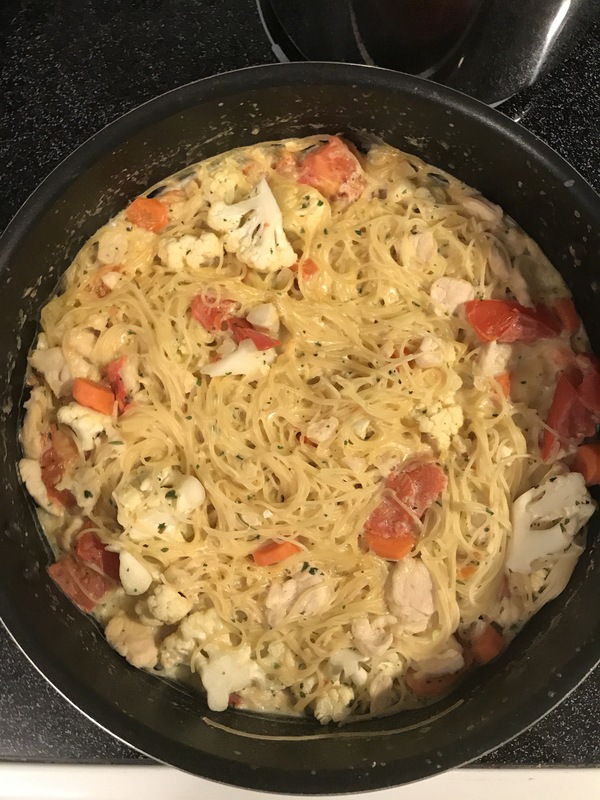 It’s quick and easy and delicious!